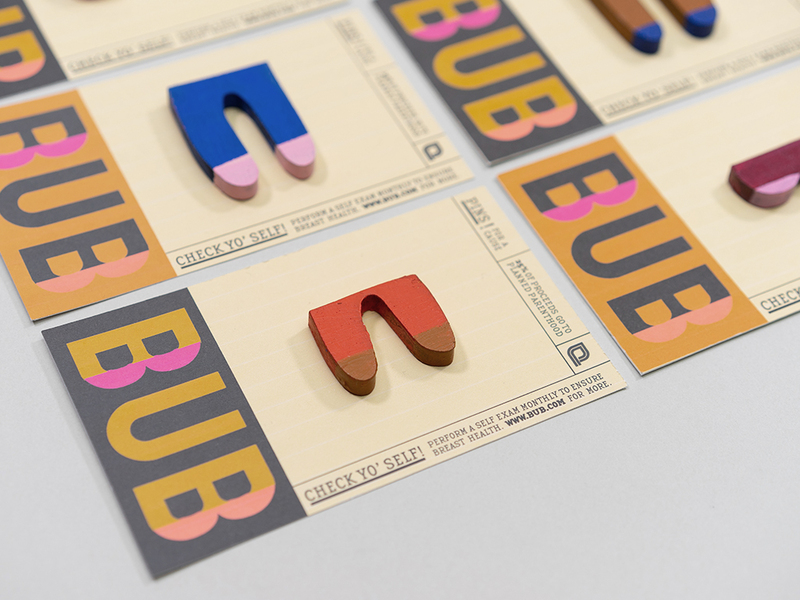 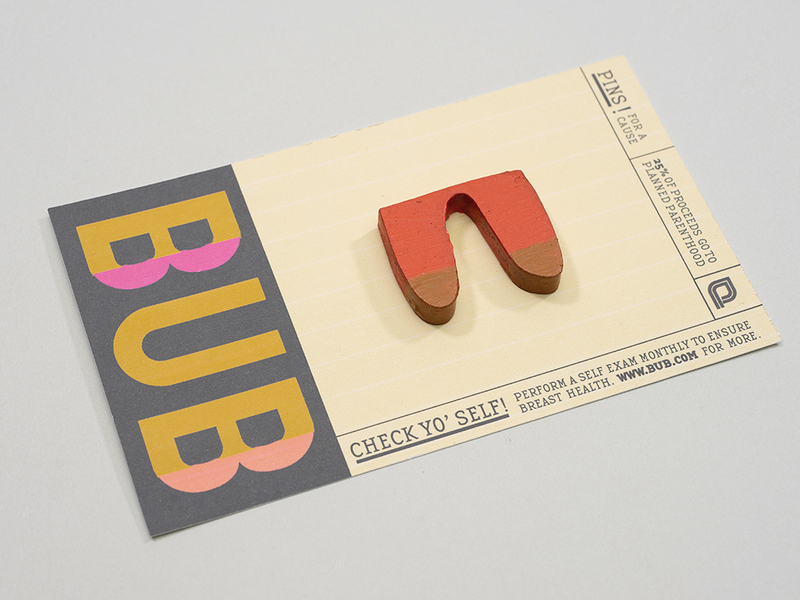 Bub is a company promoting breast health. 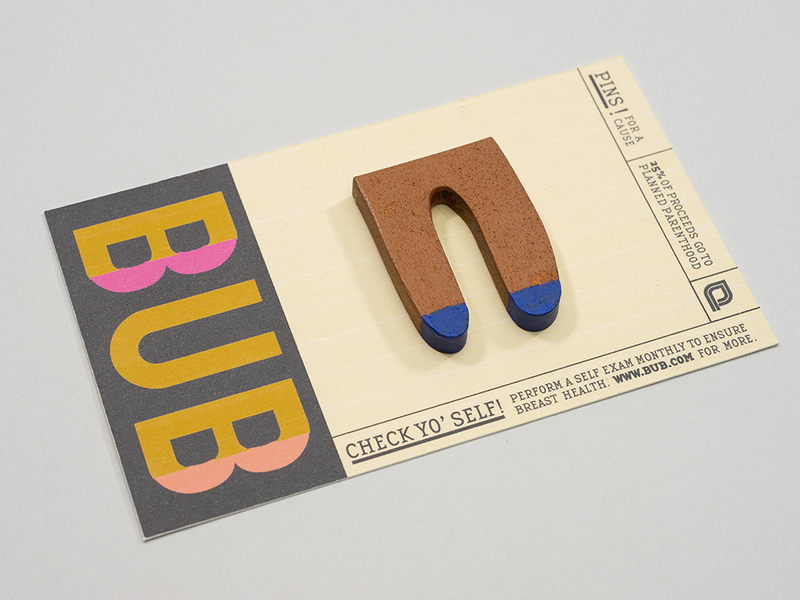 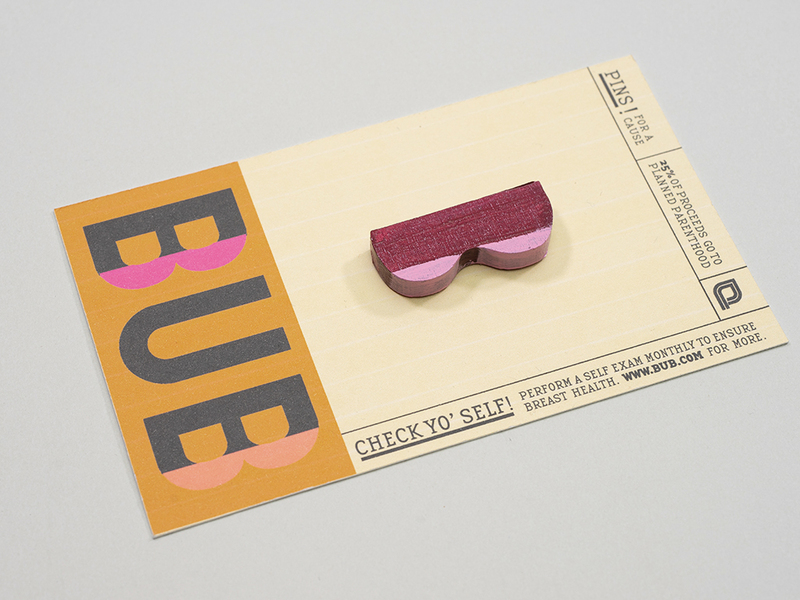 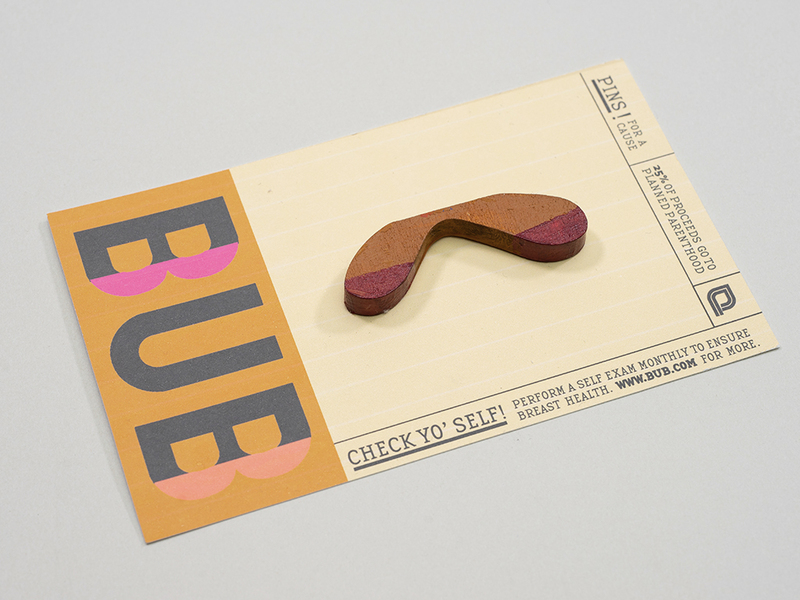 The abstract pins come with a message to check yo' self and perform monthly self exams. 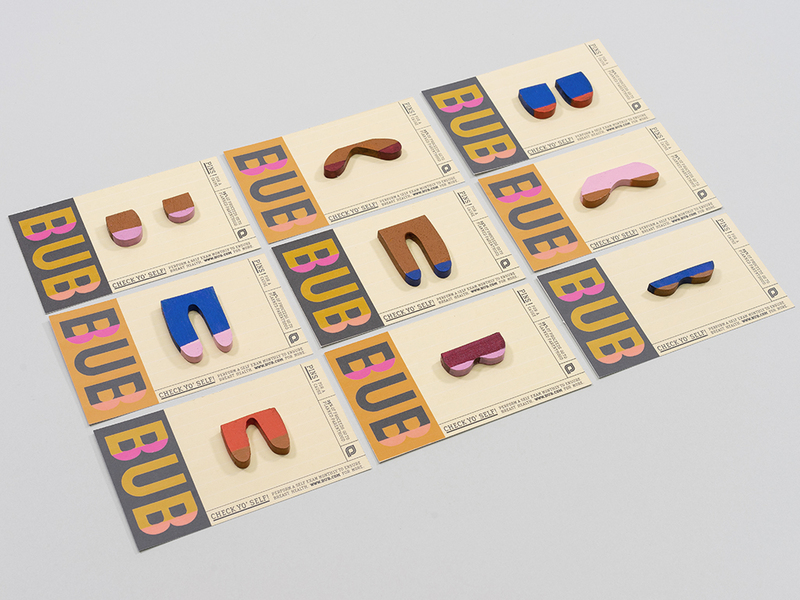 A percentage of the proceeds of these pins go to Planned Parenthood.